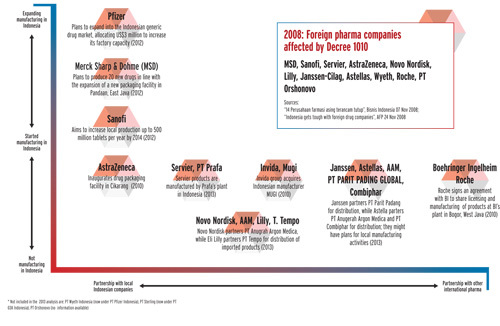 In 2008, the government in Indonesia released Decree 1010, meaning all foreign pharma companies working in the country had to manufacture drugs locally or form a partnership with a local manufacturer in order to register their own medicines. 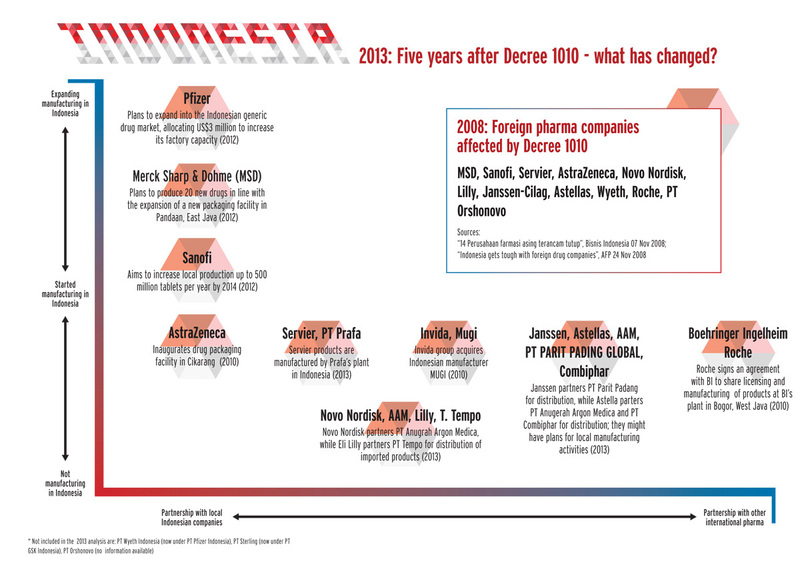 This infographic details all the agreements formed by pharma companies in the region in the five years since Decree 1010 was published. 2013: Five years after Decree 1010 - what has changed in Indonesia?